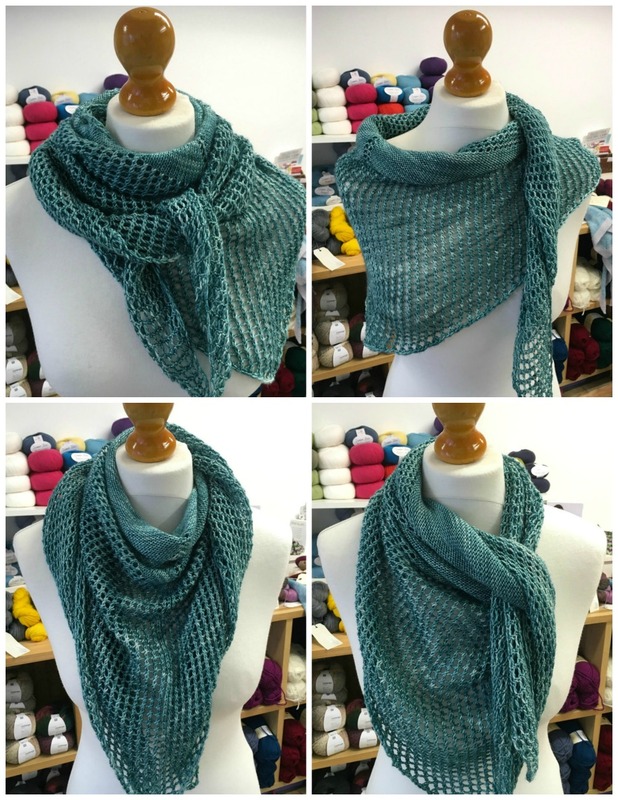 A variation on our popular shawl patterns. 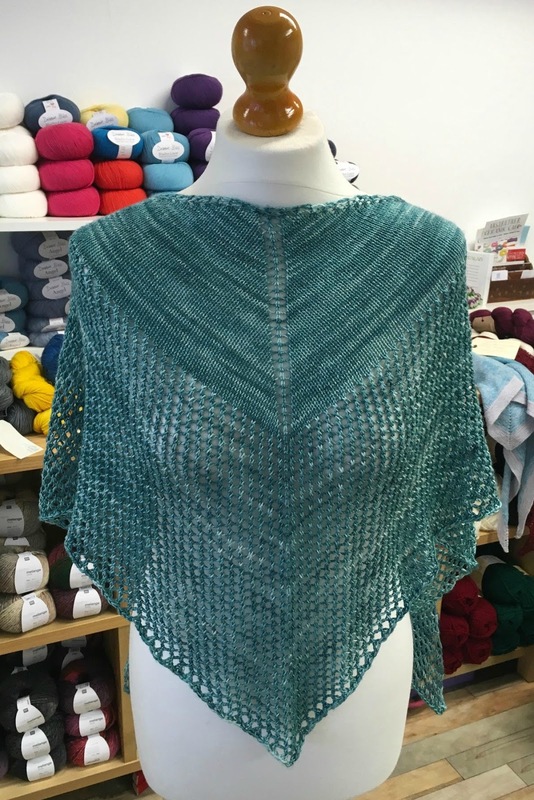 This eyelet shawl takes elements from the Super Eyelet and the Fine Super Eyelet to create Ginger's Eyelet in honour of the gorgeous 4ply yarn hand dyed by Jess at Ginger's Hand Dyed. We have a selection of Ginger's Hand Dyed in the shop for the month of August including the Splendor 4ply in Selkie used in our shawl. A gorgeous 50/50 blend of merino and silk that gives so much drape and shine.